The Triple Dish™ serving bowl makes a practical and stylish addition to any occasion. 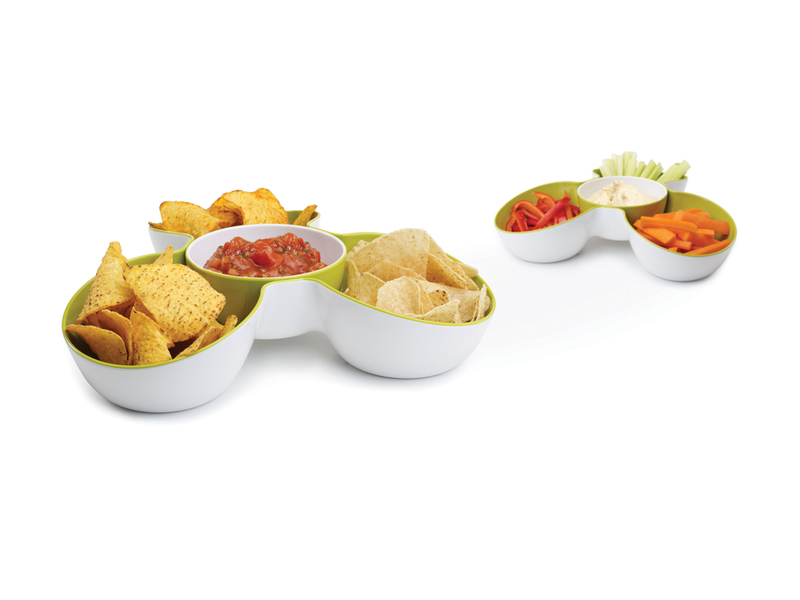 It provides three generous compartments for serving a variety of chips, snacks or crudités, and a removable dish in the centre that is ideal for holding large portions of dip. It is made from 100% food-safe melamine, so it’s tough and easy to clean, and it co-ordinates perfectly with the Double Dish™ serving bowl range.